Oooh I do like a good bit of synthy pop. Defiant synthy pop at that. "Nothing's going to stop us now, nothing's going to take us down". And so the tone is set as "Keep Fighting" comes straight out from the corner all gloves-a-blazing, giving immediate opportunities to stamp feet, clap hands, underpinned by distorted keys, guitars and more hooks than a keycutting shop. Read More Oooh I do like a good bit of synthy pop. Defiant synthy pop at that. "Nothing's going to stop us now, nothing's going to take us down". And so the tone is set as "Keep Fighting" comes straight out from the corner all gloves-a-blazing, giving immediate opportunities to stamp feet, clap hands, underpinned by distorted keys, guitars and more hooks than a keycutting shop. Funnily enough fighting is pretty much the theme in "Lightning" too. "You were never made to fit the mould, be a supernova and explode". Such a good line, and worthy of being sung twice in a row in the verse. Delivered with defiant vocal punches, it provides plenty of crowd hyping builds. Let's hear it in the house..
And it goes on and on: "I've got the power" makes sure you've got the message. This is high energy proclamation cleverly hidden in the frenzied continuous supply of beats, rhythms, and loops. Lyrically it's unlikely to get published in a leather bound commemorative book but so what, I'm too busy jumping up and down and getting sweaty armpits of praise. There may not be any direct mention of who we're singing to - you could argue that very few love songs rarely mention the name of the focus of the affection - but it's easy to identify and enter into the spirit of lines like "It's more than how you've changed things, it's how you're changing me". 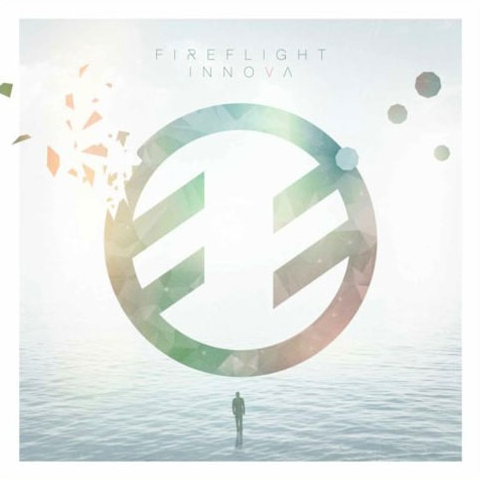 Again, so pleased were Fireflight with it, that they repeated it. Returning from the overpriced clubland bar, with my mineral water for what I thought were more mellow moments such as "Here and Now", "Safety" and "The Light Inside" it turns out they ooze even further irresistible keyboard driven energy. I'm going to need a sit down in a minute but it's clear I'll have to wait. "Resuscitate" crunches and fizzes like popping candy, as does the rather fine "The Fallout" with its closemiked vocals over a held back heavy patterned drum loop. "I've got a hole cut through my heart" would imply a dark dense song, but interestingly "Easy to Break" leads to one of the lighter musical and lyrical moments of the collection. "Light Inside" sits us down on the calm-down carpet and gives time for reflection as we draw the evening to a close. Packed with energy-drink pop and everyday emotion this a body-shaking cocktail perhaps lacking the more obvious theological vitamins but undoubtedly high in those essential kick-start e-numbers. You may wish to adopt these as your own overcoming anthems as they give plenty of opportunity for declaring, confession, and generally fighting your way out of those difficult and demanding life situations. Open the can and stand well back.